Motorcycle season is officially here in Knoxville, TN. Warm weather and the beautiful spring colors mean riders are polishing up their bikes and heading out to the open roads! Some are also considering a new motorcycle, and this post is intended for those in the market for a new or used motorcycle. Everyone engages in the process of buying and selling goods on almost a daily basis. It’s so common most people don’t even give it a second thought; however, maybe you should, especially when you’re buying your next ride. A few questions come to mind when thinking about buying a new or used bike from a public or private seller: is there a warranty or is the bike as is; who is responsible if the bike is damaged before its picked up, but after you’ve agreed to buy it; when does your insurance kick in or what should you do to get covered; and, what if you have an accident on your new ride. 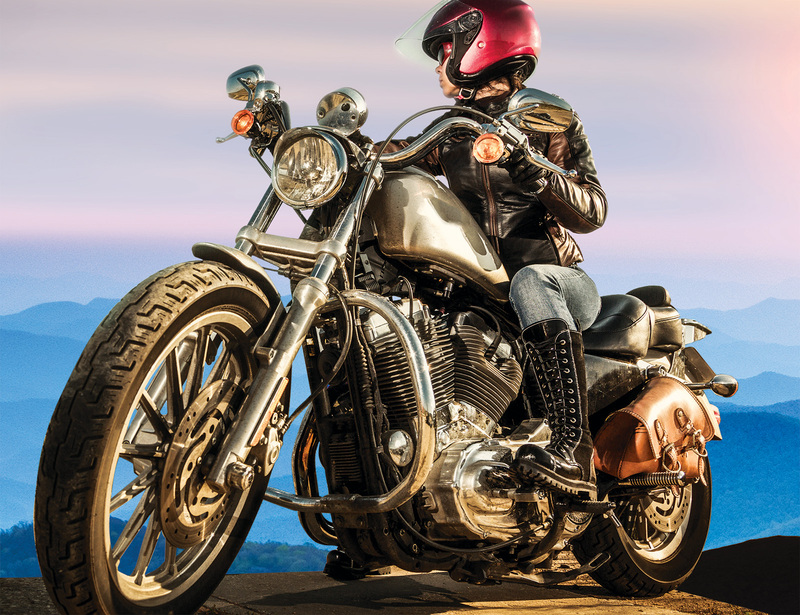 If you’re going to a dealer and buying a bike right off the showroom floor or having the dealer order your perfect custom ride, 99.9% of the time there will be some sort of warranty with the bike guaranteeing that everything works and will continue to work for a set amount of time. It never hurts to ask what the warranty is because you may be able to use it as a negotiating tool. Now, what happens if you don’t buy a new bike? Well that’s where things get a little more interesting. 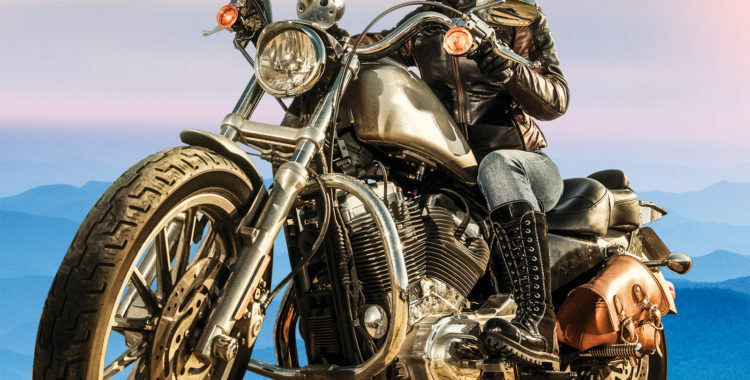 Sometimes you may buy a bike with part of the manufacture warranty still intact or if you’re buying from a dealer, the dealer places a limited warranty on the bike, but don’t hold your breath. The best thing to do in this situation is ask, whether buying from a dealership or a private seller. If the seller says the bike has a warranty be sure to get it in writing and have the seller sign the warranty agreement. If the bike doesn’t have a warranty (“As Is”) then you’re buying the bike as it is and if the oil pan drops off when you pull out of the driveway, you’re stuck with it. New or used bike be sure to ask if you can test-drive the bike first. If the bike is used, it never hurts to ask if you can have it looked over by a mechanic before you buy it to help identify any problems. If a seller is unwilling to allow this to happen, you should be skeptical. The statement above might seem a little strange, but what happens if you go look at a bike, pay for it, come back in a few days to pick it up, and a tree is laying on it; whose responsible for the damage? This is sort of a tricky question depending on the type of agreement you had with the seller, but its possible you could be out a few grand and the proud owner of a flattened bike. That sounds like an absolutely horrible situation that no one wants to be in so here is how to avoid it. The simplest way to avoid this situation, take the bike with you the day you buy it. If you can’t take the bike with you, make sure your insurance is covering the bike. There are situations where the seller is liable for the damage, but if the sale is already complete it will be much harder for you to recover what you paid from the seller. When looking to buy a new ride, be sure to talk to your insurance company first. Some insurance policies provide a grace period that covers your new ride; however, not all policies do. If you don’t know, always ask because even if your policy does provide a grace period, it is not indefinite and the insurance company often sets the time frame. If you buy a bike on a whim, call your insurance company as soon as possible and let them know about your purchase. Its better to be safe than sorry and as discussed in other articles, insurance is very important to protect you and others. And don’t forget to add uninsured motorist (UM) coverage to your new ride. A 10 minute phone call to your insurance company before you drive the bike off the lot or out of the driveway can save you, your bike, and most importantly, your loved ones’ way of life. What do you do if you have an accident right after buying your shiny new bike? This is starting to sound like a broken record, call your insurance company, after the police of course. Your insurance company will start the claims process, but unfortunately the insurance company likely will not give you the full price you paid for the bike, but it will give you a substantial amount back if you have full coverage. If you took a loan on the bike, you may want to consider gap insurance to cover the portion that your vehicle insurance would not pay. The lender or dealer you are purchasing from can provide you with information regarding gap insurance. Marcos Garza is the owner of the Garza Law Firm, PLLC a Tennessee Law Firm dedicated to the full service of motorcyclists, bikers, cruiser and crotch rocket riders across the state. Please direct all comments and follow up questions to him at mgarza@garzalaw.com. We pride ourselves in directing motorcyclists to the appropriate help they need when they need it. If you’ve been involved in a motorcycle wreck, we recommend our motorcycle accident personal injury page.